Z.G. 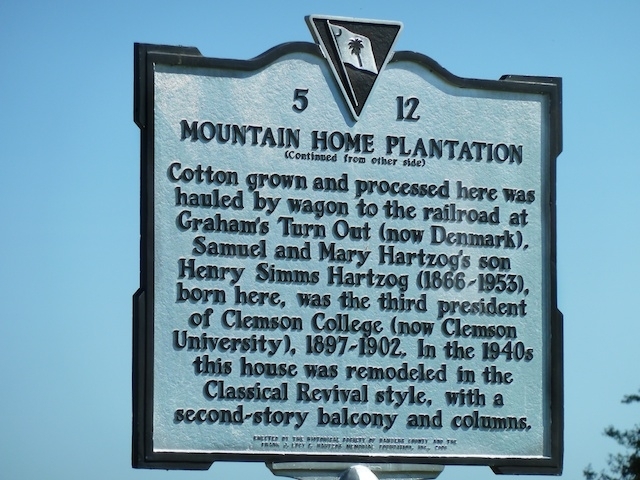 Graham was the first owner of Mountain Home Plantation found on records (4). 1848  Z.G. Graham sold the property to his brothers Samuel J. and Joseph Hartzog for $3,700 (4, Barnwell County Records, Deed Book DD, p. 114). 1859  Joseph sold his portion the plantation's property, 476 ½ acres to his brother Samuel J. Hartzog for $3,500 (1 and 4, Barnwell County Records, Deed Book MM, p. 541). Samuel began to build a two-story brick house soon after becoming sole owner of the property (1). Henry Simms Hartzog, Samuel and Mary Hartzog's son, was born at Mountain Home in 1866. Henry went on to be the third president of Clemson University. Click here (PDF) to learn more about Hartzog's time at Clemson University (1) (4) (5). 1875  Samuel J. Hartzog sold 500 acres to James Wyatt Lancaster for $4,500 (4, Barnwell County Records, Deed Book 000, page 309). 1901  C.E. Hayden purchased the 500 acres from H.L. O'Bannon for $2,600 (4, Bamberg County Records, Deed Book C, p. 346). 1904  The 500 acres that composed Mountain Home Plantation changed hands several times in a short period of time. B.L. Caughman purchased the tract from Augustus H. Hayden for $3,000 (4, Bamberg County Records, Deed Book E, p. 62). 1908  B.L. Caughman sold the plantation to Samuel Shannon Williams for $3,500 (4, Bamberg County Records, Deed Book H, p. 400). 1928  The plantation was deeded from Samuel Shannon Williams to his wife Hattie Williams for $1.00 (4, Bamberg County Records, Deed Book H, p. 400). 1942  After Hattie's death, Mountain Home was transfered in this year from the heirs of Samuel Shannon and Hattie Williams to Frank M. Williams (4, Bamberg County Records, Deed Book #1, p. 7). 1944  Hattie Sue Williams, daughter of Samuel and Hattie, and her husband F.D. 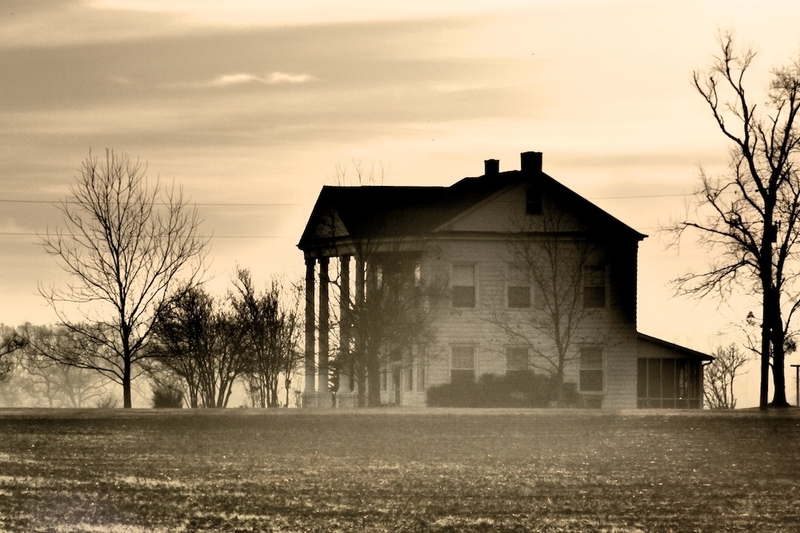 Garrett, Sr. acquired the plantation from Frank M. Williams (4, Bamberg County Records). 1988  F.D. Garrett, Sr. died with his will leaving the plantation to his heirs F.D. Garrett, Jr., Oliver S. Garrett, Marsha E. Fogle and Connie G. Ehrhardt (4, Bamberg County Records). 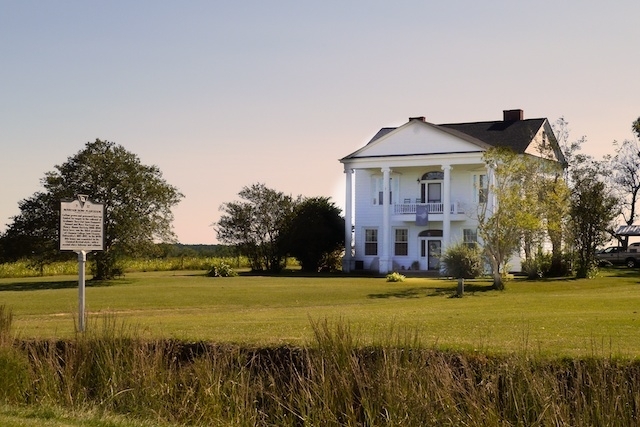 1990  The Garrett heirs sold the plantation to Brubaker Farm for $115,000. At this time the plantation held 157 acres (4, Bamberg County Records, Deed Book 75, p. 172). 1991  Tony E. Azzarelli purchased 1.72 acres that the house sits on from Brubaker Farm for $25,000 (4, Bamberg County Records). 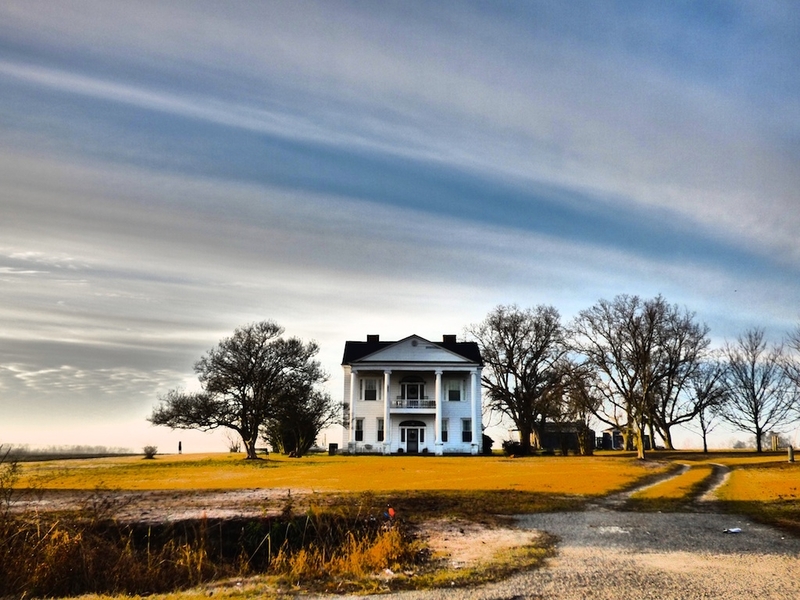 1994  Leonard "Gerry" Bell, Jr. and Linda G. Bell purchased the portion of Mountain Home Plantation with the house from Tony E. Azzarelli (4, Bamberg County Records, Deed Book 89, p. 55; Plat Book 28, p. 91). 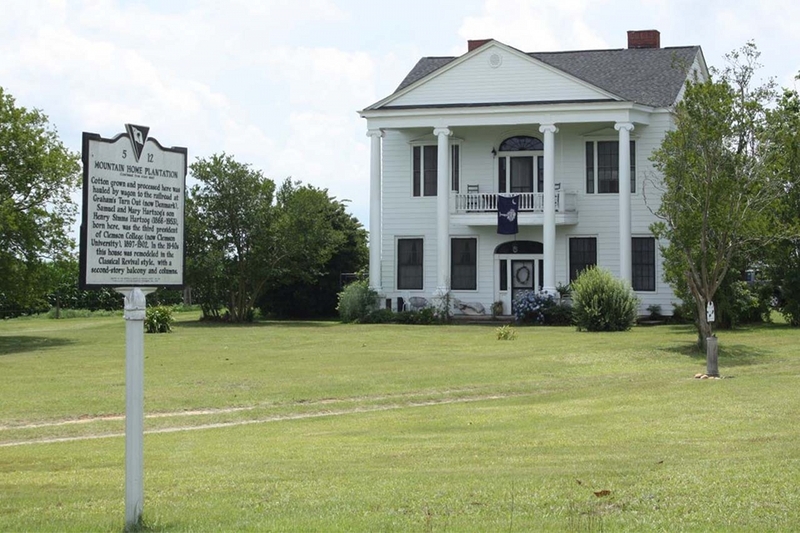 Frank Pickens Williams, Sr., grandson of Samuel Shannon Williams, shares, "There is an inscription written in pencil on the side of a mantel in an upstairs bedroom that states, "this house was moved into on May 14, 1859, total cost of this house was $2,993.08. This inscription has never been painted over and is very legible." The house was remodeled in the Classic Revival style in the 1940s (1). Information contributed by Frank Pickens Williams, Sr.
Information contributed by Andy Hunter.